Great surprise today ! 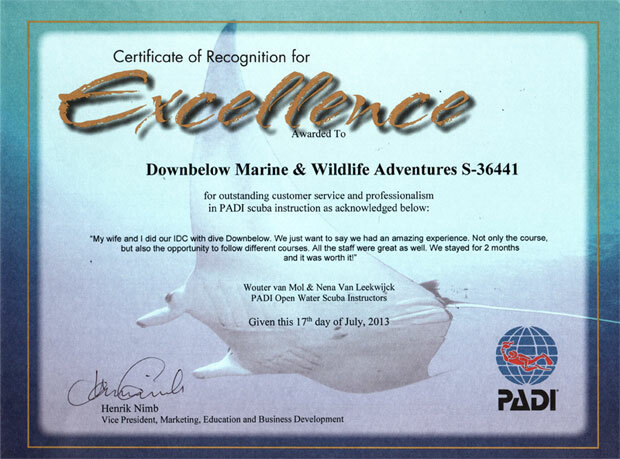 Another Certificate of Recognition for Excellence from PADI in the mail for us. We are glad that all of our hard work continuously gets recognized but most importantly that our guests and students get 5 Star treatment!